Who are Smithfield Timber? We are a North East family based Timber Merchant that provide various type of materials and services to the Teeside area as well as further afield. We have been established for over 25 years and have two sites. Our most common deliveries are for decking, fencing materials, shed building materials, timber cutting, skirting and worktops to name a few. Where did you hear about Sagetech Machinery? Last year we had received some brochures into our premises and kept them on file. When we realized we needed to upgrade our Safety Speed Cut, the leaflet was to hand and we called Sagetech Machinery first. Why did you purchase a new Vertical Panel Saw? We were previously using a Safety Speed cut which we traded in for our KF16. We had outgrown the Safety Speed Cut in both size and reliability for cutting the amount of sheets we required, as our demand had increased in the 7 years we owned the machine. We had to replace the motor on our old saw as it was not capable of coping with the demand and decided we need a larger and more robust saw. How did you find the process from initial enquiry to purchasing your machine? FAULTLESS. I spoke to Craig who was really helpful and discussed a few different machine options with me. He did me a great deal on the KF16 and we ordered the machine straight away, maybe within a couple of days of first speaking with Craig. As we ordered just before Christmas, we waited a few week for delivery of the machine which worked well for both of us. How did you find the Delivery and Installation Process? I was on holiday when the machine was delivered and installed but I got excellent feedback from the boys and no one had any complaints or anything negative to say about it. What benefits have you seen from the machine since having it installed? It’s so much more reliable. It isn’t burning the mdf which we were having problems with, with the Safety Speed Cut. The motor wasn’t strong enough for the material we are using whereas with the Vertical Panel Saw, it is, so we aren’t having that problem anymore. We can comfortably cut the sheets we need in line with our demand and it gives us more reliability for our customers. After a successful trip to Eurotrophex in Berlin, Sagetech Machinery exhibiting be at Trophex 2019! Sagetech Machinery are delighted to confirm that they will be exhibiting at Trophex 2019. Following on from an exciting and successful trip to Berlin for Eurotrophex 2018 the team at Sagetech Machinery will be present on the 13th and 14th of January to exhibit their popular Desktop CNC Engraver and show examples of what their engraver is capable of making. Sagetech Machinery have had an exciting and successful 2018 with various exhibitions and the launch of their new range of Vertical Panel Saw, the Techkut and their Desktop CNC Engraver. The team will be demonstrating their engraving, while showing off products that they have been desiging to show the full potential of this fantastic piece of machinery. There will be some exciting discussions to be had, with the announcement of new models and sizes of engravers. Sagetech Machinery are known as the UK’s leading manufacture of Vertical Panel Saw’s, however they also manufacture 3D Printers and Engravers. The engraver was designed following on from feedback from customers who own a Sagetech Manufacturing Vertical Panel Saw, wanting to utilise the many offcuts that they were left with after they had finished cutting down their sheets of wood. Managing Director Craig Williams explains ” It became apparent, after multiple conversations with our clients that there was a lot of wastage coming from the off cuts of wood. We wanted to design an engraver that could accommodate the size of the off cuts and give a new revenue stream to our clients who could now engrave onto the left-over wood and sell a new range of items”. 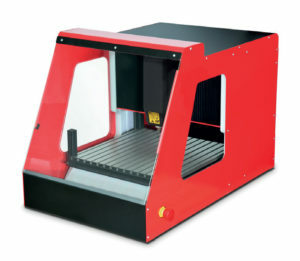 This engraver also comes inclusive with Vectric Software to ensure maximum enjoyment of the CNC. The team chose to offer Vectric as it offers a fantastic online community to support both experienced engravers and novice engravers to get the most from their machines. With fantastic tutorials and free plans to get you going, you can enjoy using your engraver as soon as your machine is delivered. So come along to stand 15 and see what all the fuss is about. Zapkut ZM from Sagetech – The Saw You Can’t Afford NOT to Use! We have all heard stories of how investment in expensive tools is so great that you can’t afford to have any downtime on them. Well, how about a British designed and made vertical panel saw that is accurate, easy to use and is reasonably priced – so reasonably priced in fact, that small workshops can afford to buy one and find a place for it in the premises. The saw I am talking about is the Zapkut ZM series from British company, Sagetech Machinery, a company with many years’ experience making vertical panel saws for many types of users. The ZM series comes in two sizes – the ZM12 and the ZM16. The difference is that the ZM 12 will take sheets of material of 2500x1250mm while the ZM 16 will take a full 3100x1600mm sheet. Both saws have a 32mm depth of cut so will easily handle the standard 18-20mm thick sheet of manmade material. What I liked about the ZM12 when I tried it was the absolute simplicity of use. On the cleverly designed, rotatable sawhead (needed for vertical and horizontal cutting) is mounted a standard Festool plunge saw, which is included with the machine. This can be connected to Sagetech’s optional excellent dust collection vacuum, so this ticks the important H&S dust safety box. Since the saws can also be tilted for mitre cuts, accurate bevel cuts come as standard with the Zapkut ZM. So how – when we are told that British manufacturing industry can’t compete – does Sagetech Machinery produce a saw that retails at under £5,000 that has almost pinpoint accuracy every time? The answer seems to lie in clever design, maximum use of standard components and precision laser cutting and welding. Each saw starts its life in a modern factory near Worcester where precision laser cut components are cut and shaped. Again by using lasers to produce the components, the all important top and bottom beams of the saw are accurately placed and then the rest of the framework holds them into a well-braced whole that does not move – I tried it – it is rigid! The all important bearings and runners are off the shelf components – obviously cheaper to obtain and replace if necessary. You might also notice that the things like the sacrificial bearers are made from strips of MDF and the stops are made of steel strips with MDF sections that are simply screwed into place. This arrangement makes it easy for end users to replace worn out pieces themselves, adding to the cost effectiveness of the whole package. With barely five minutes of explanation and a limited experience of using vertical panel saws, I was able to get a perfect right angle cut on a piece of 18mm thick MDF board safely and easily. 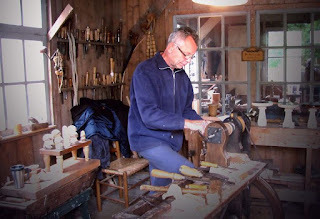 Because operating the saw is a two handed operation, fingers are kept well away from any dangerous bits and there was no discernible dust in the air. As usual, it took longer to load and align the sheet than it did to do the cut. The target market? I think that any “small user” cutting between 10 to 30 sheets a week would soon recoup their investment with the greater accuracy and speed that it would bring to production. Since wall saws take up very little space and are actually much safer and more accurate than using a table saw to cut sheet materials, it seems to me a bit of a no brainer to give the Zapkut range a look. It could be a very wise decision indeed. 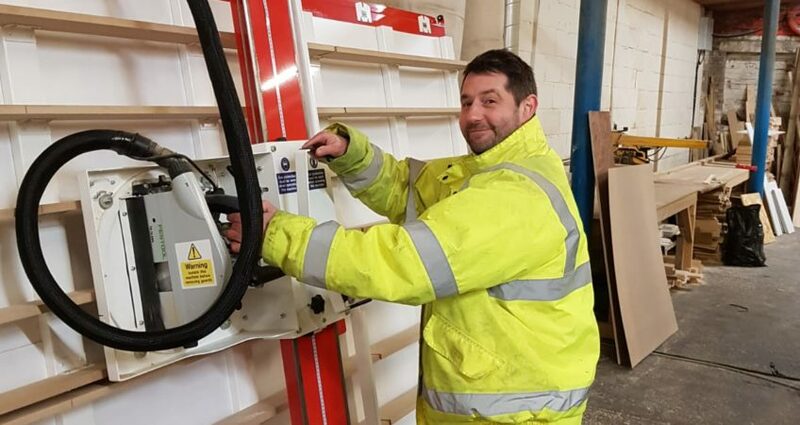 Sagetech Machinery is a well-established British company specialising in making vertical panel saws – from heavy duty models that are at home in a very busy professional joinery workshop right down to the portable ZK8 that can be folded up and taken on site. I know from questioning regular users of vertical panel saws (most often used from timber yards and joinery shops to signmakers and plastics distributors to cut up sheet materials) that they can be very difficult to load up and adjust. I have had sheets of MDF cut for me that can be as much as 10mm out of square from corner to corner – but if you read the fine print you have no comeback. Wouldn’t it be great if you could buy a vertical panel saw that came at an affordable price, was inherently accurate due to the use of strong frames and robust bearings and was made in the UK? Well you can – and I was given the opportunity to try out the new Koolkut KF12 at the W16 Show at the NEC. My first examination of the Koolkut KF range focussed on strength and rigidity of the frame. 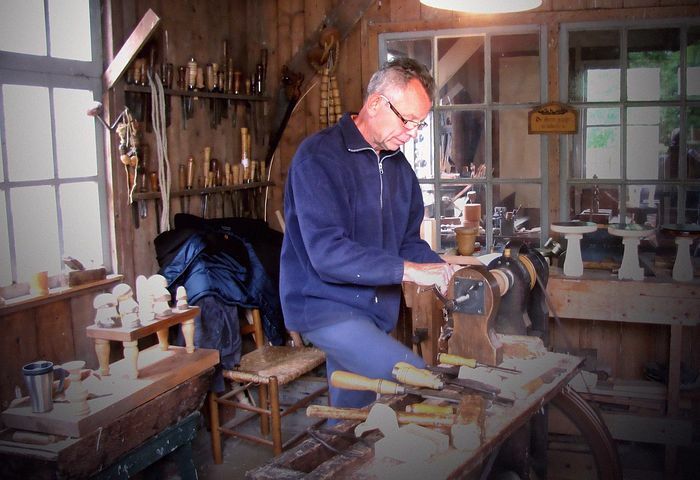 It goes without saying that any flexibility in the frame would make for an inaccurate saw. It is very clear, even to the naked eye, from the stand and frame and the top and bottom bearing runners, that strength is simply built in. The steel is thick and rigid enough to support the heavy sheets of MDF etc that will be the daily diet of these saws. This is all achieved by using the most modern laser cutting and bending methods at a factory near Worcester. The use of lasers for precision cutting once again makes a vital difference, ensuring that the top beam and column bearing surfaces are precise, with the bottom supports exactly parallel to the top beam. In this way Sagetech Machinery is able to achieve astonishing accuracy for its machines. Of course we know that due maintenance is required to maintain accuracy, but it is comforting to know that accuracy is intentionally designed and built in. I also examined the bearings on the sawhead closely. These are standard off-the-shelf components that are not only well tested, but also reasonably priced, making maintenance easier and cheaper. The sawhead itself uses a Festool TS75 plunge saw with some clever but simple masking on it to increase dust collection to almost 100%. The beauty of this saw arrangement is that bevel cuts are made by simply adjusting the protractor on the saw base. The sawhead itself is made from robust pressed steel with built in adjustments that are easy for end users to make, thus ensuring ongoing accuracy in use. Horizontal cuts are made by simply releasing the catches and turning the saw to the click stop – it really is that easy to use. While in use, hands are kept well out of the way of whirling blades because the plunge and movement mechanism requires two hands to operate it. Another feature of accurate saws is the quality of the material supports and rests. The Koolkut KF answer is as simple as it is practical – the rests are steel sections to which MDF sections are bolted so that they are easily replaceable by end users. The supports are similar but stronger, since they carry the weight of very heavy sheets. Typical users of the Koolkut range would be smaller workshops, shop and kitchen fitters and signmakers, it is clear that the level of investment is well within the bounds of possibility and will be easily recoverable in greater productivity. And it won’t take up loads of space in the workshop either! Time to Google SAGETECH MACHINERY maybe? Sagetech Machinery become a FESTOOL dealer! It is with great pleasure that we are able to announce that SAGETECH MACHINERY LIMITED have become an authorised dealer for FESTOOL. The agreement allows us to supply all of the machinery, accessories and consumables that are offered from FESTOOL. We will be showing some of the FESTOOL range in our showroom in County Durham, along with continuing to partner our VERTICAL PANEL SYSTEMS with the FESTOOL saws and extraction systems that we have been doing for many year’s. The staff at SAGETECH MACHINERY have recently been through the FESTOOL dealer training so that they have the right skill sets to demonstrate the products to you along with the knowledge to guide you to the right product for your needs. This training was undertaken at Festool UK which is a subsidary of Festool Germany. 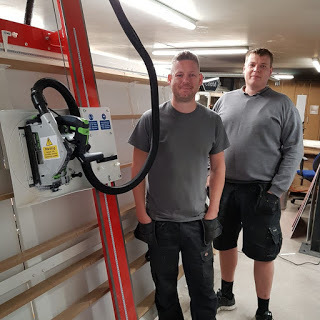 Festool UK are based in Bury St Edmunds, operating since 2003 which now has around 55 employees operating in the UK in Sales, Service, Customer Service, Marketing, Finance and Accounts and Logistics. We are glad to inform you that we are set to exhibit at Durham Oktoberfest on October 19th at the Xcel Centre in Newton Aycliffe, County Durham. The event, which returns this October for its TENTH year, focuses on showcasing the Engineering and Manufacturing excellence in the North East with over 100 exhibiting companies, many of which are now repeat exhibitors because of the value and benefits they derive from this event. 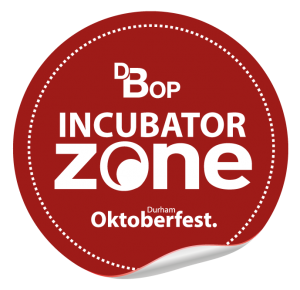 The organisers of Durham Oktoberfest have teamed up with Business Durham’s Durham Business Opportunities Programme (DBOP) to create the Incubator Zone and offer companies a mini exhibitor package which will mean the Incubator Zone exhibitors can have a presence within the show for first time event exhibitors. We welcome anybody to come down between 9am – 4pm and say hello, but if you can’t make it on the day we will be showcasing the day on our social media (our Twitter, Facebook and Instagram) so be sure to check us out there and interact using the hashtag, #Oktoberfest10. Anybody who is attending, we hope to see you there and we look forward with interacting & networking with all the visitors and fellow exhibitors. We can’t wait to get started. We are very glad to announce that Sagetech Machinery are now official members of CDEMN. County Durham Engineering and Manufacturing Network (CDEMN) is an organisation created to support the continued growth of over 1,000 of the companies which make up the area’s thriving engineering and manufacturing industries. Worth millions of pounds to County Durham’s economy, CDEMN’s aim to encourage firms of all sizes to inter-trade, using local suppliers rather than outsourcing to companies elsewhere in the country; and share ideas and experiences which will ensure the engineering and manufacturing sectors continue to grow. We have decided to become a member of CDEMN as it gives us the benefits of a range of services, such as the opportunity to meet and network with other business’ in the Engineering and Manufacturing industry from the North East. We see this as a great opportunity and couldn’t resist to grab it with both hands. 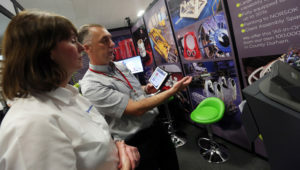 CDEMN also deliver Durham Oktoberfest, the North East’s premier engineering and manufacturing show, every year. Durham Oktoberfest 2017 is on Thursday, October 19th 2017 (9am-4pm) at The Xcel Centre in Newton Aycliffe, County Durham. Now in its 10th year, Durham Oktoberfest 2017 is set to once again surpass the success of previous years. We can also announce that we will be be exhibiting at this years show! We will provide for information on our stand and offers closer to the time. For more information on Durham Oktoberfest, click here.